Location The Castle Hotel and Leisure Centre in Macroom, Cork is an excellent accommodation choice for those traveling around Ireland and is the ideal base from which to explore one of the most beautiful areas of Ireland's countryside. 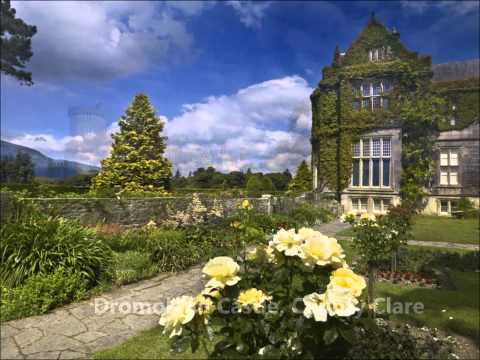 The Cork Castle Hotel is settled between Killarney and Blarney, two of the most visited spots in Ireland. It is perfectly situated in the centre of Macroom and is thus ideal for wandering this historic Irish town. It is also the perfect base for the enthusiastic hill walker and the hotel has published a list of walks in the area, suitable for the casual stroller or the more energetic. Rooms The 58 bedrooms in the 4 Star Cork Hotel are luxuriously designed and equipped with our guests every comfort in mind: Tea/coffee making facilities, Satellite TV, Ironing Board, safe, Direct dial telephone, Spacious writing desk, Room service. Interconnecting and family rooms are available on request. Restaurant: B's Restaurant at the 4 Star Castle Hotel Macroom Cork is a 90’s eater stylish bistro style restaurant, with three different split level dinning areas. B's opens daily for breakfast and dinner, where the menu is a celebration of the freshest of local produce, with a wine menu to suit the most discerning palette. Winner of The AA Rosette since 1992. Dan Buckley's Bar (Awarded The Black & White Munster Hotel Bar of The Year) - The spacious, traditional bar offers an extensive food menu throughout the day, with Carvery Lunch between 12 and 3 pm. While each dining experience at The Castle Hotel is unique, service, friendliness, and the highest qualities are always to be found. Spa/Leisure Facilities The Castle Hotel Macroom Cork Leisure Centre, awarded 'The Ilam White Flag'. You will find our staff friendly and experienced, providing a full qualified and professional service. Free access is available to all hotel residents. The Spa includes:16 metre deck level heated swimming pool, Spa pool, Children’s pool, Steam Room, State of the art gym with cardio vascular and strength training equipment, New Holistic Therapy Suite.